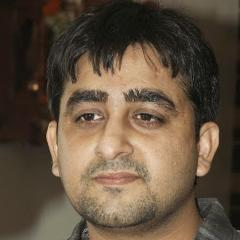 Devesh Chanchlani is a passionate programmer and technology enthusiast. Devesh has Coached, Trained and even led multiple organisations during their Agile transformation journeys. He relishes coaching teams to embrace, scale and sustain eXtreme Programming (XP) and DevOps practices at enterprise scale. He is the founder of ""Steer Lean Consulting"", an initiative with the vision of helping organisations focus on enhancing Business Value and building an entrepreneurial culture within by grooming, mentoring and supporting internal folks to shape key initiatives. Worked in distributed Agile teams, with practices such as Test Driven Development, Continuous Integration, Extreme Programming and Pair Programming. Involved as an Application Developer, in various e-commerce projects, major ones being in domains such as e-ticketing and e-shopping. Involved in the development of the 'Point/Presentation' (of the Office Suite) for a webkit based browser and mobile implementation. As a Technical Consultant, involved with the teams technically, assisting them to evolve their technical processes and skills, and guiding them to deliver a better designed product. As a Technical Agile Consultant, helping teams appreciate and implement various XP practices (like unit-testing, refactoring, TDD and automation) with relevant tools and frameworks. Agile Coach guiding the teams to adopt Agile, building an environment where continuous improvement of the development and delivery process is in focus. I assist organizations to transform to Agile / Lean, and grow in their Agile / Lean thinking. I have successfully coached and trained a large number teams, to embrace, scale and sustain Scrum, Kanban and XP practices. I am a passionate programmer and technology enthusiast, have worked with distributed teams, playing various roles of Developer, Team Lead, Scrum Master and Architect. You can change the way your Scrum team works! Join our CSD® workshop and lead your projects to success!